Home Sheducation Centre Now You Can Have a Shed with the Perfect Colour! 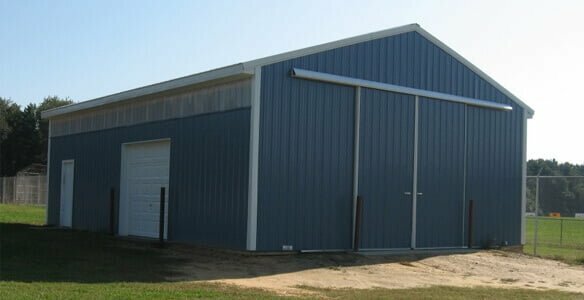 Whether you need extra storage space, an office, a workshop or a place to house your machinery, sheds can be very useful in a variety of ways—for your home, farm or business in Perth. Many people decide on having sheds built because they are very versatile. In fact, they can be designed and built in a virtually limitless number of ways. At Action Sheds, our clients’ preferences are important and this is the very reason why we have no problem when it comes to customising storage sheds, farm sheds and other structures. If you want to have a functional shed that can still represent your personality or your company’s, then don’t be afraid to play with the design, particularly the colours. When designing the perfect shed for your home or business, its functionality is probably the first thing that comes to mind. However, you should also consider the outward appearance of the your shed. You wouldn’t really want to build a shack in your backyard that is nothing but an eyesore. Also, if you own a business in Perth that makes use of sheds as a warehouse or office complex, you would want to appeal to your clientele and be able to send a professional message. The easiest way to make sure the outside looks great is to choose a colour that works. Of course, you want to pick your favourite, but you also want to keep it fairly standard. Bright flashy colours can hurt the eyes, so try to stick with darker earth tones. This also makes it easier to clean since dirt is less noticeable in darker colours. When selecting the colour that you want for your shed, you should make note of the options in our Bluescope collection. Our customisation process not only allows you to pick any of these colours, ranging from classic cream to cottage green, but you can also select which parts of the shed you want for each colour. With this array at your disposal, the possibilities are all up to you. When designing a shed, the colour is important because it can help in creating an impression on the people who will look at it. Make sure to choose the hue that will not only be appealing, but one that can appropriately send your message. Luckily, with a full pallet to choose from, we guarantee that you’ll find exactly what you need for your shed. For more information on how we can help in this process, call 1300 778 628.